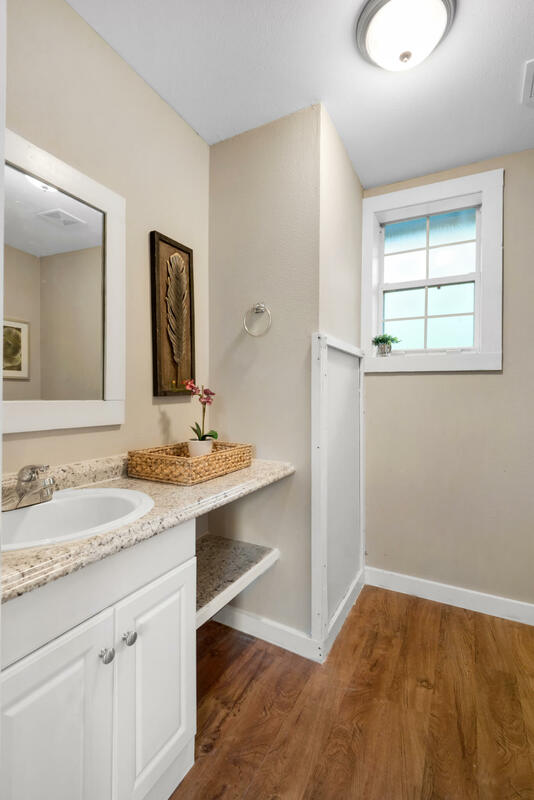 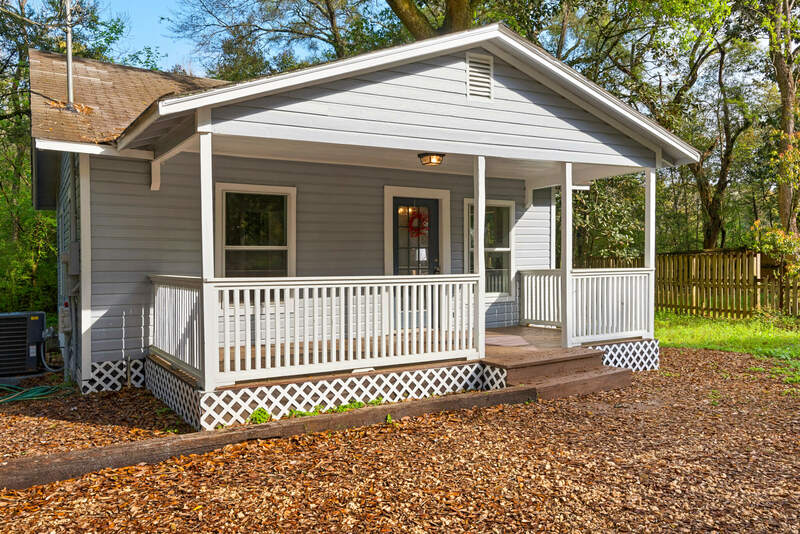 Newly remodeled three bedroom/ two bath house in Fairhope just blocks from Section Street. 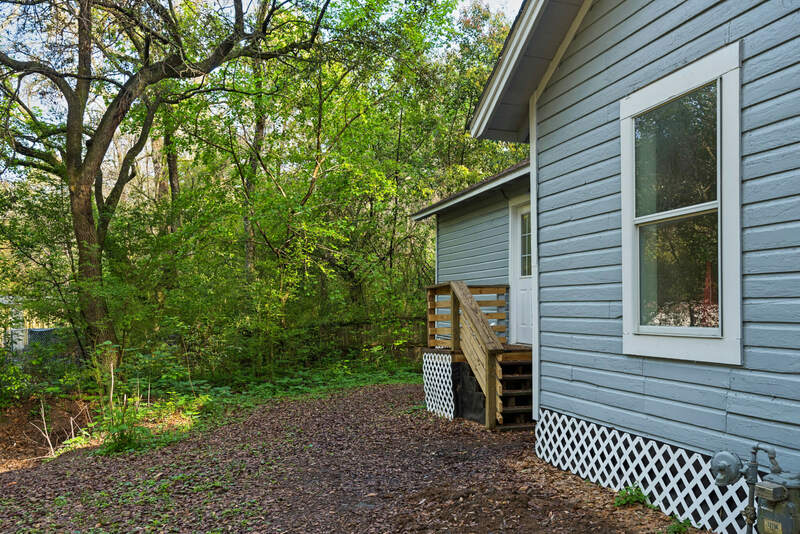 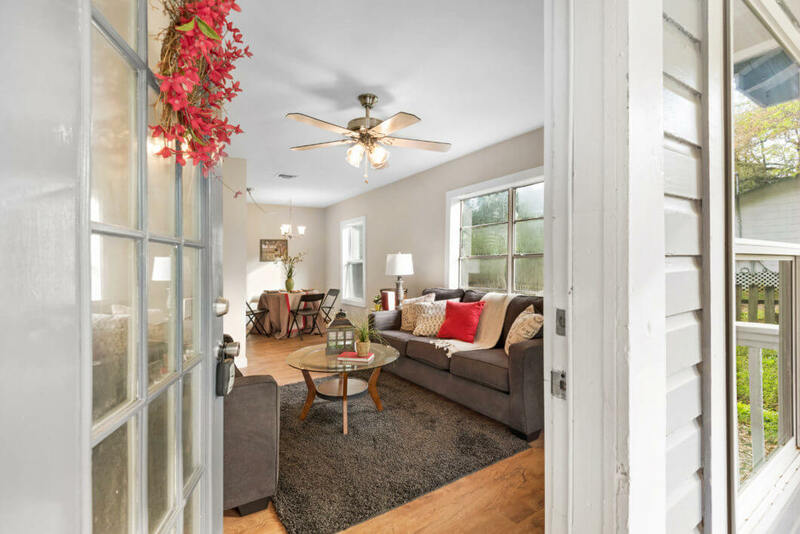 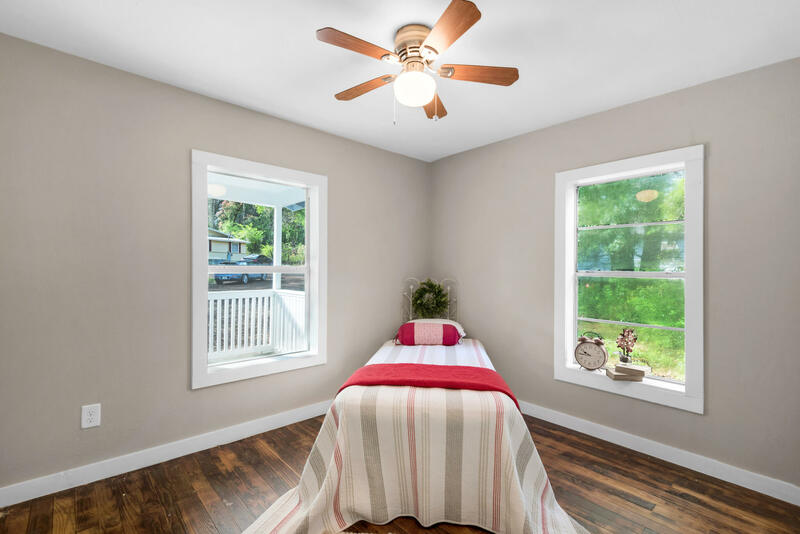 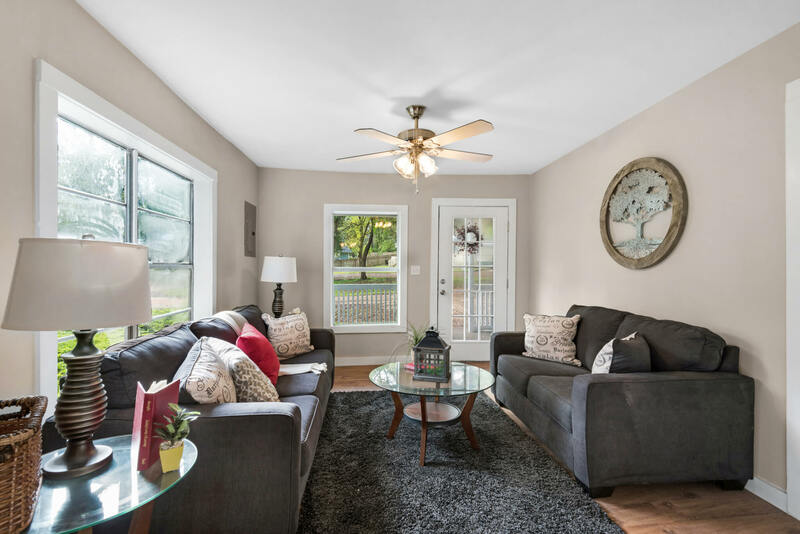 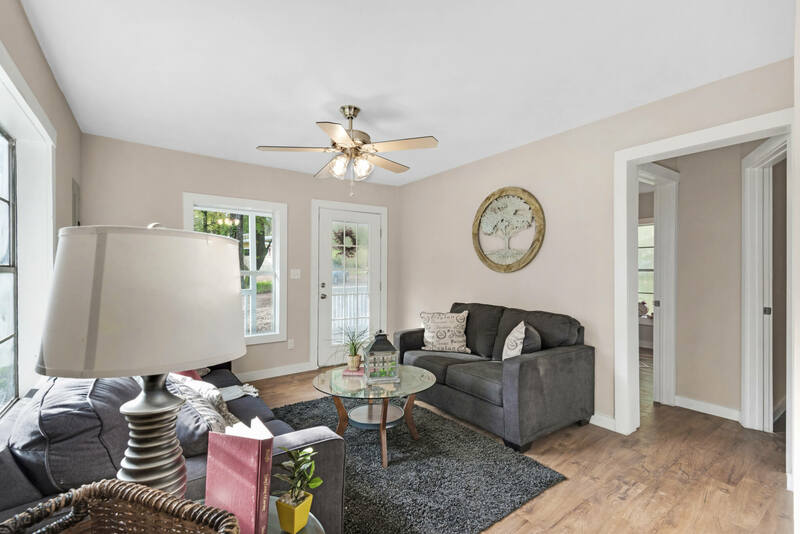 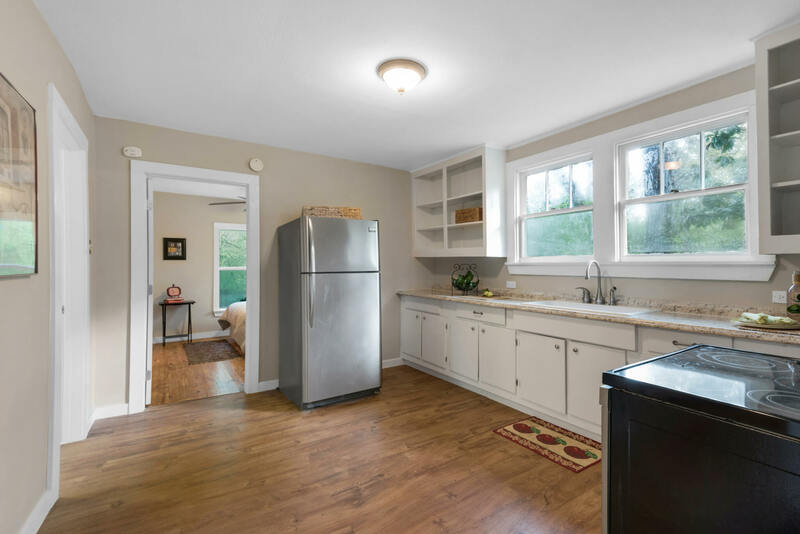 This charming cottage has a cute front porch with two bedrooms and living room in the front of the house, leading to the dining and kitchen area, with the private master suite in the back with an en suite luxurious bath. 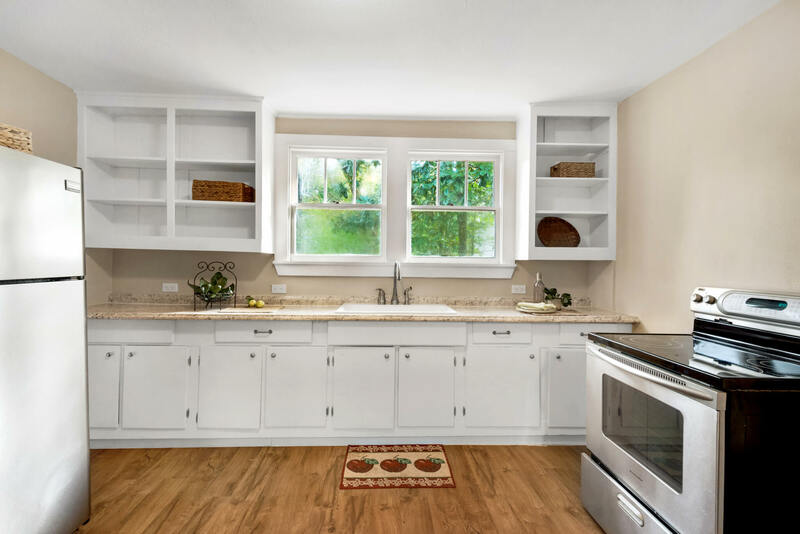 Stainless refrigerator and range in the kitchen highlight the freshly remodeled cabinets. 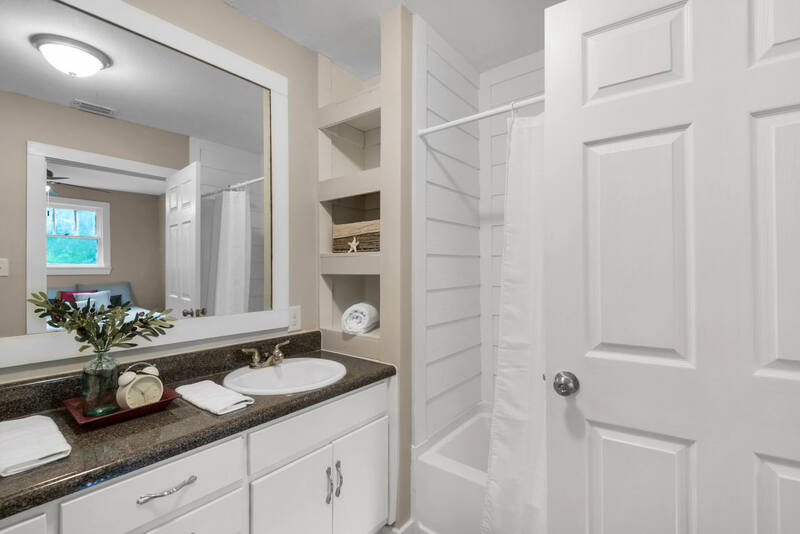 You'll enjoy endless hot water with a tankless water heater! 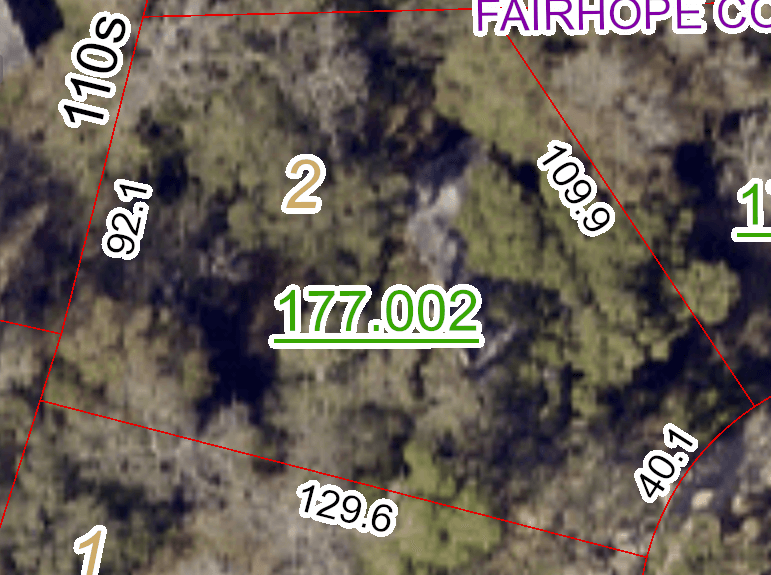 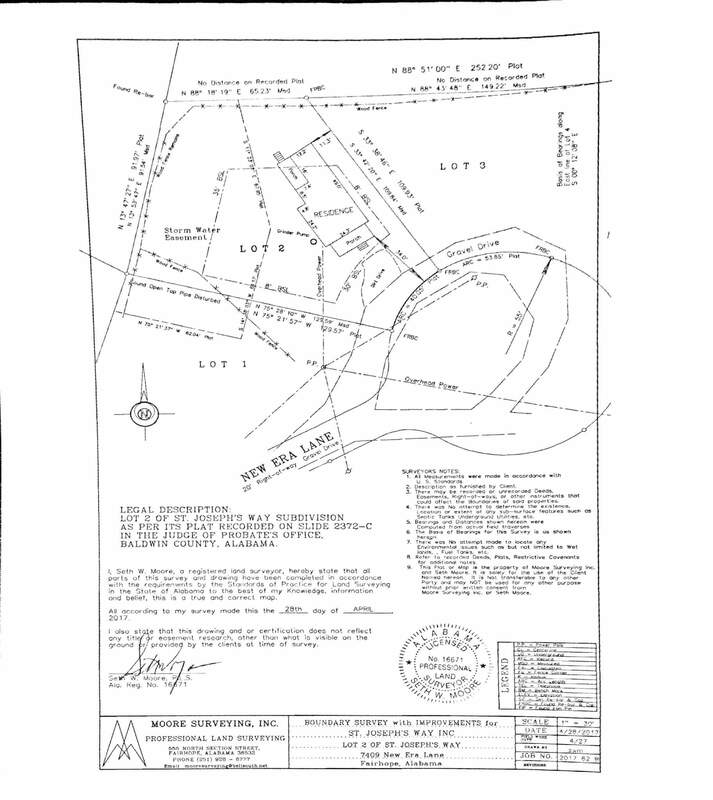 This house is on a private cul de sac with Fairhope Schools. 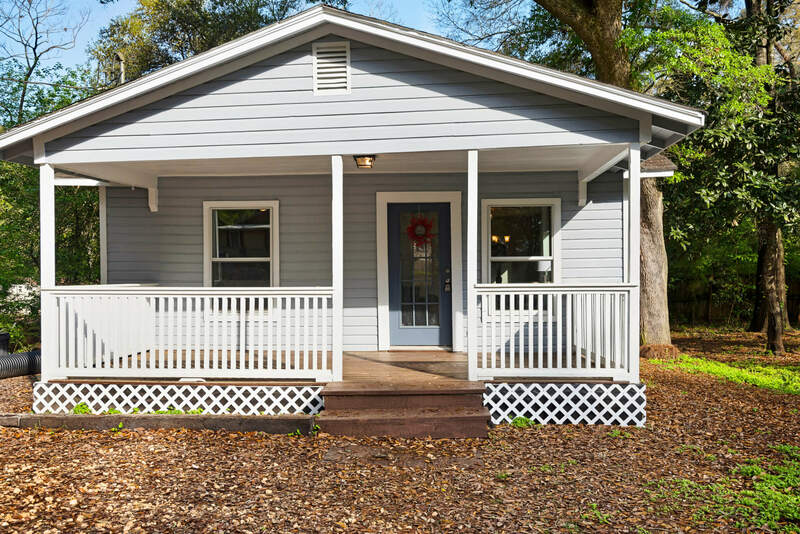 Freshly remodeled three bedroom/ two bath home in Fairhope. 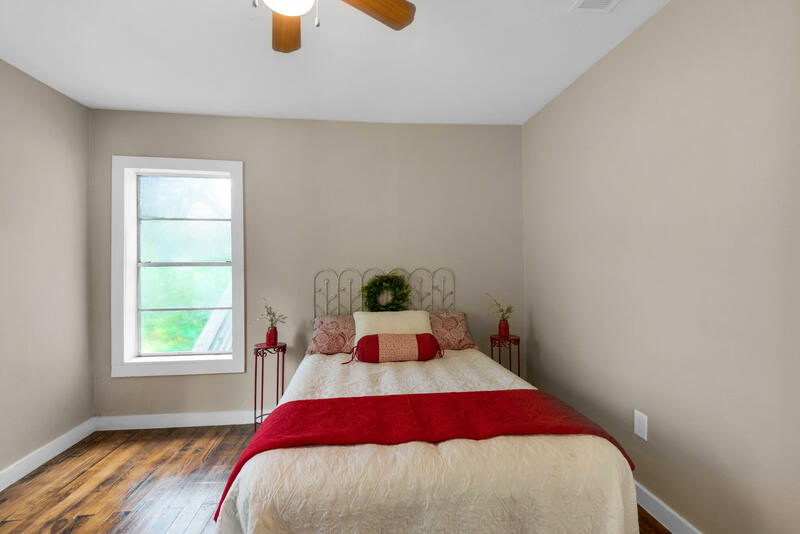 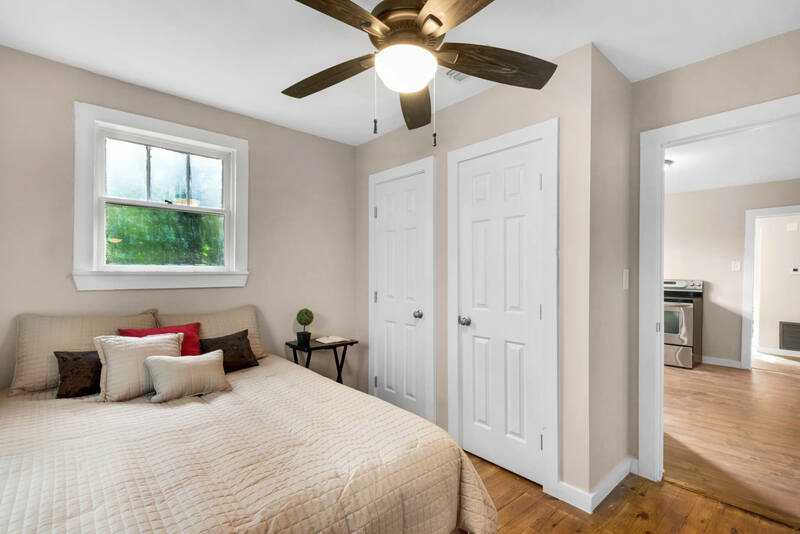 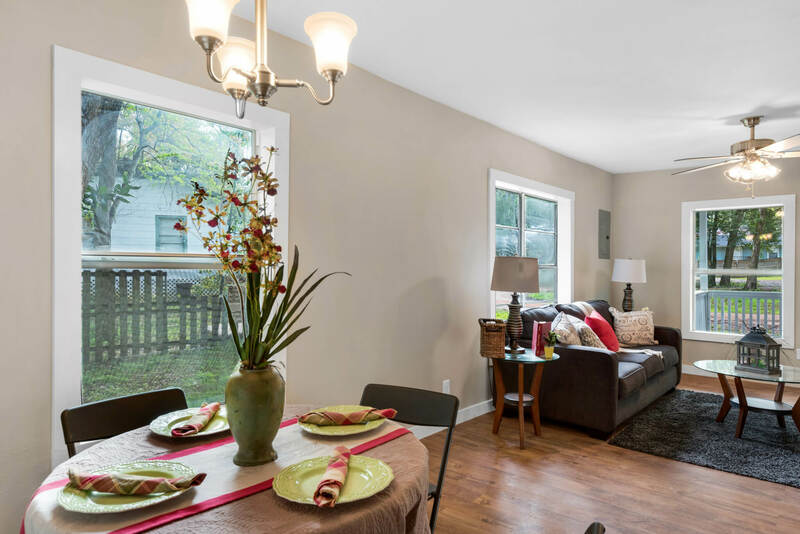 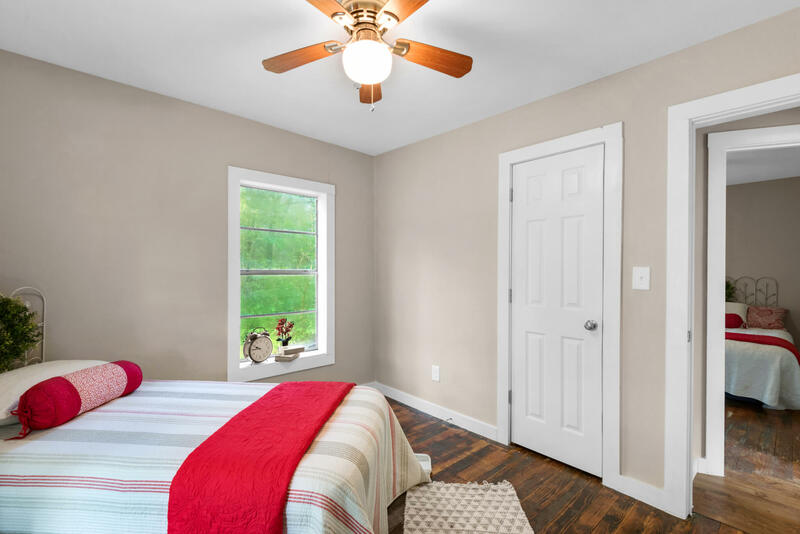 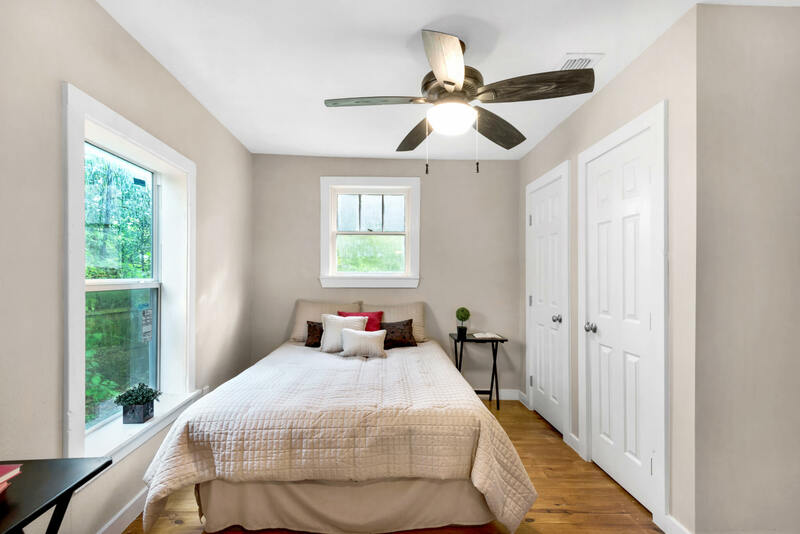 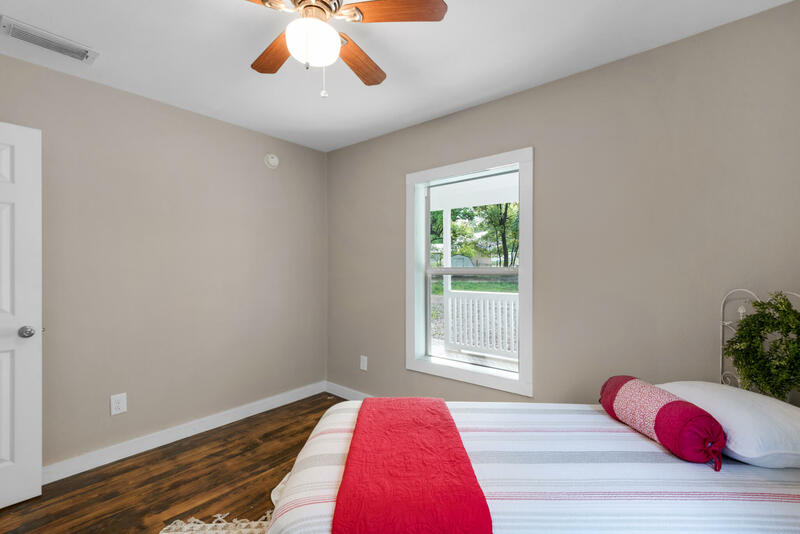 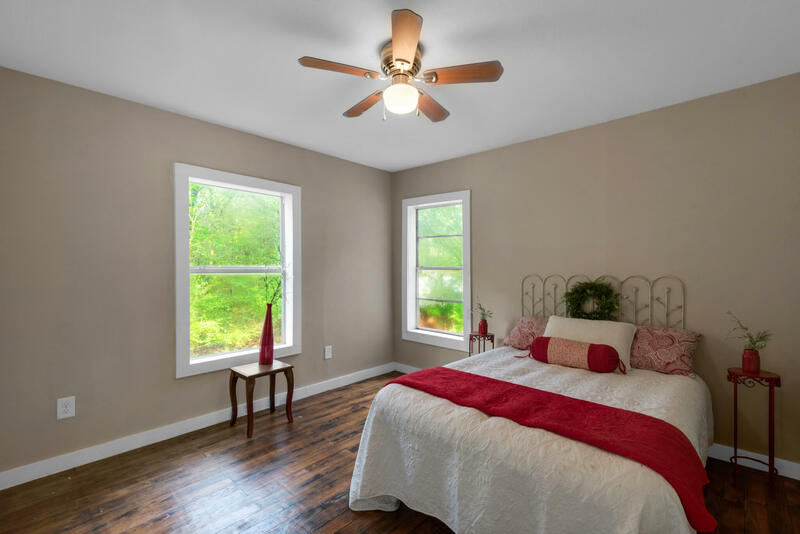 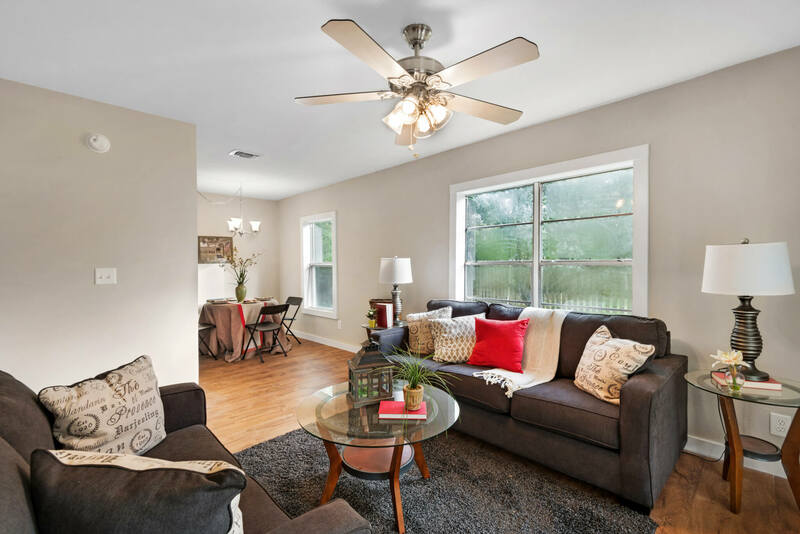 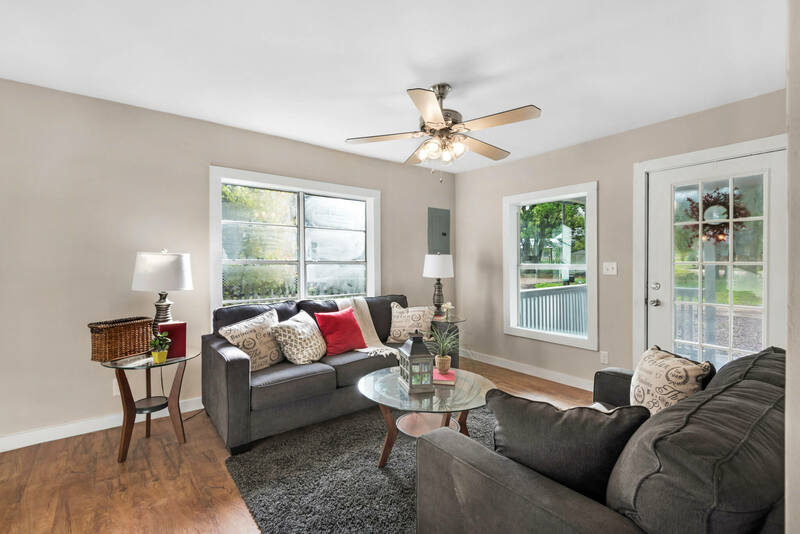 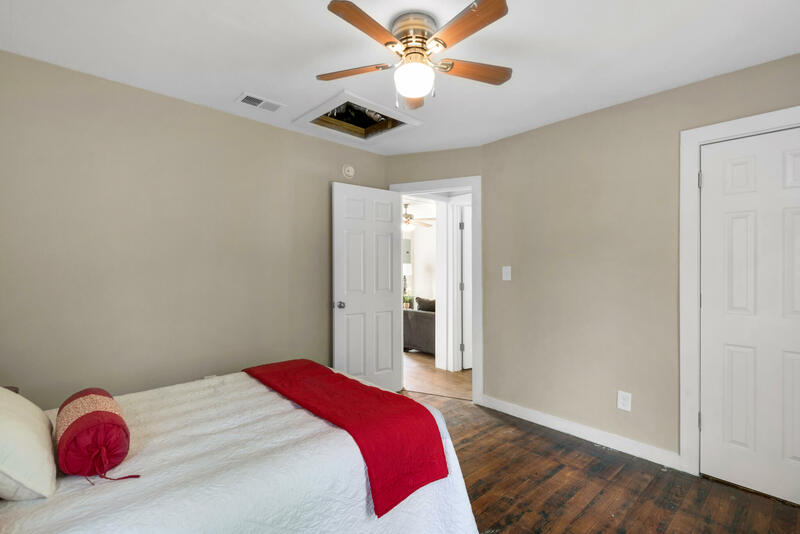 Newly painted inside and out with original wood floors in the bedrooms, this home is move-in ready. 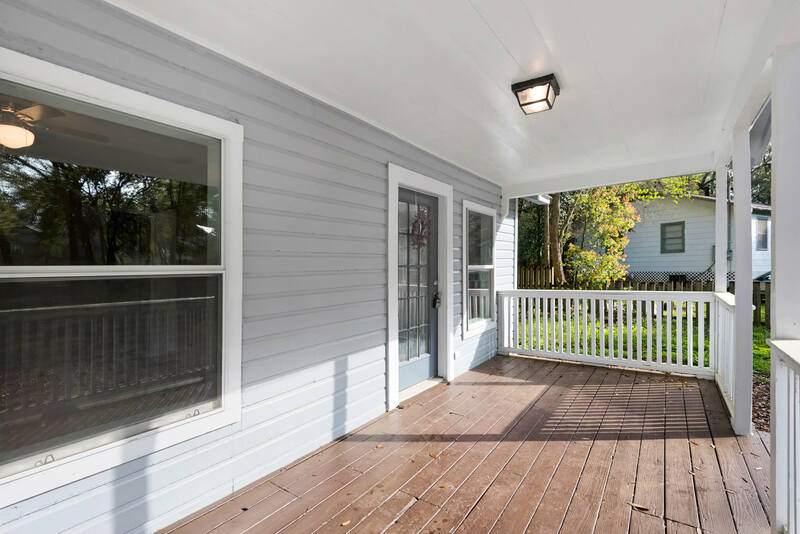 The front porch is set up for outdoor living. 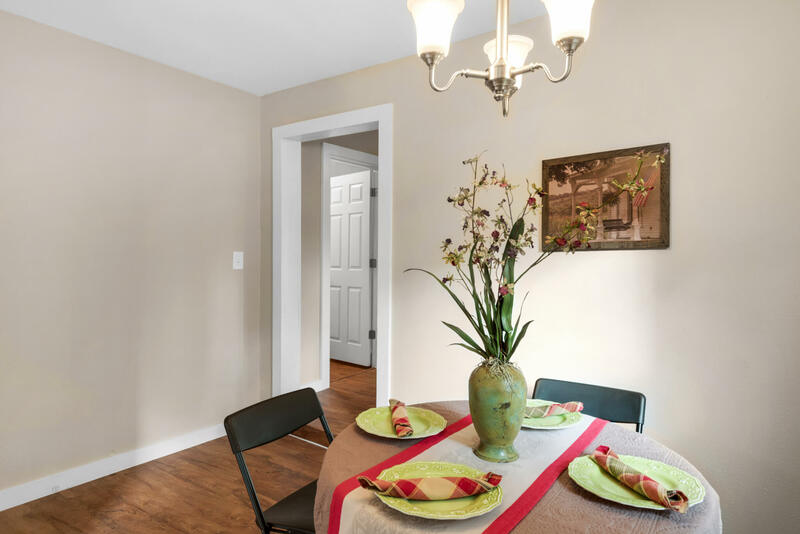 The front door opens into the living and dining area, with two bedrooms off to the left. 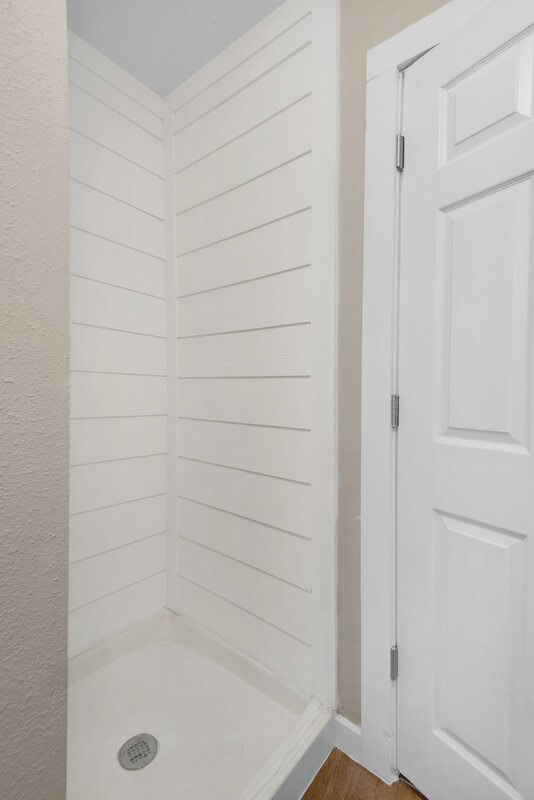 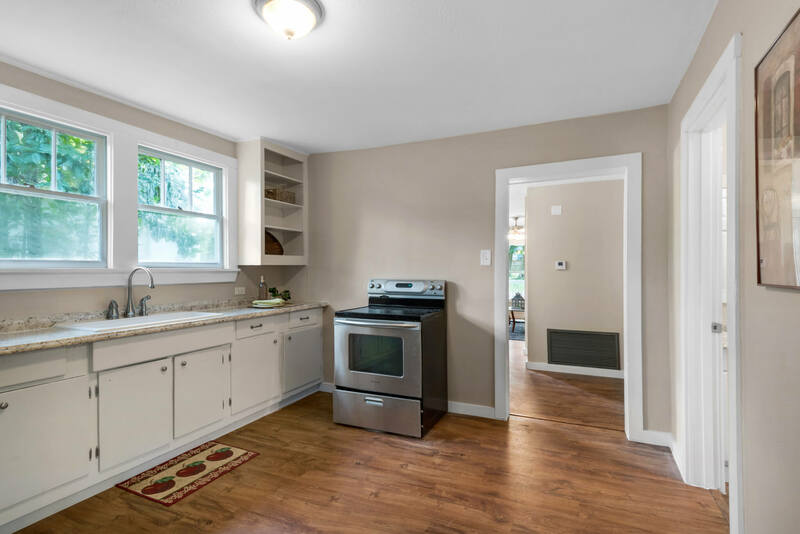 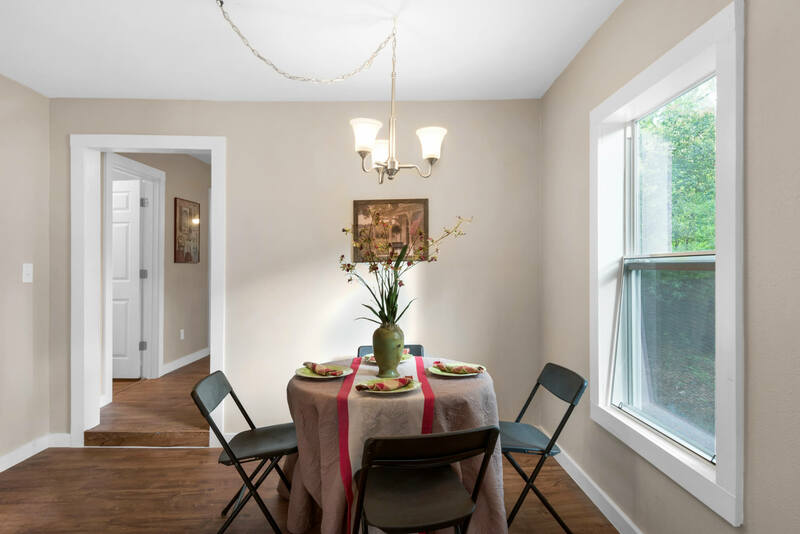 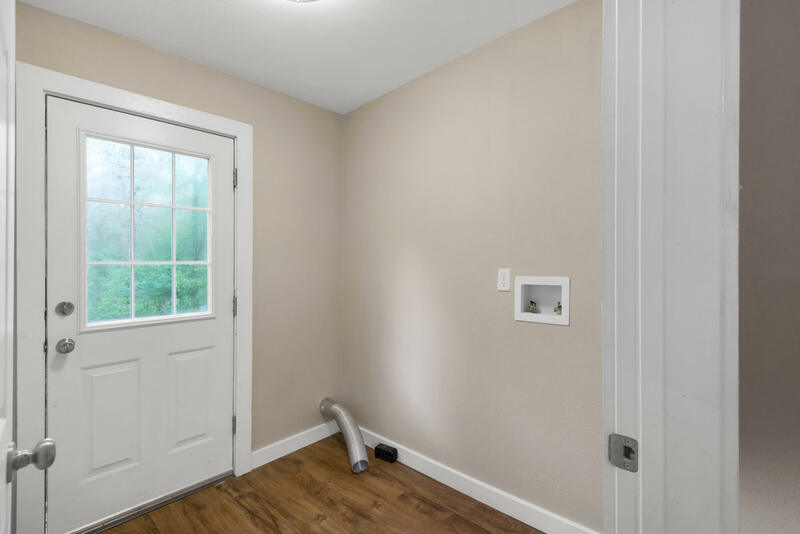 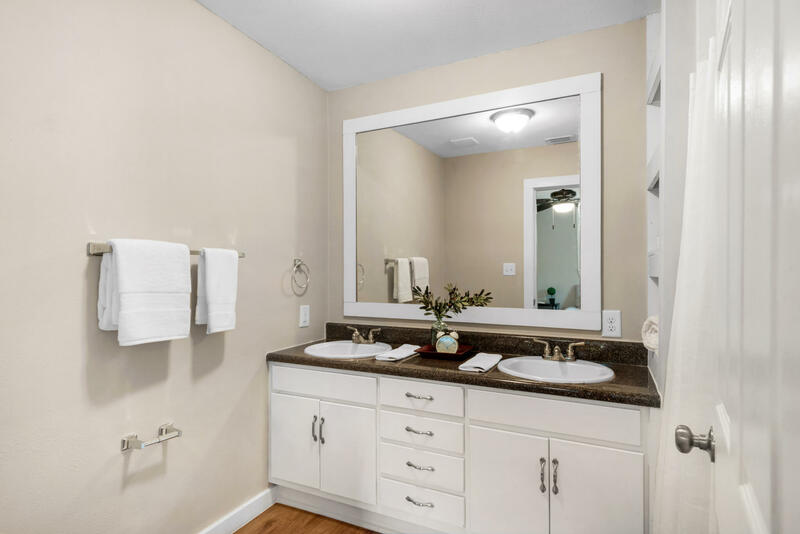 Through the dining area and into the kitchen, you'll find the laundry/utility room with its own exit, and behind that is the new master suite, also with original wood floors. 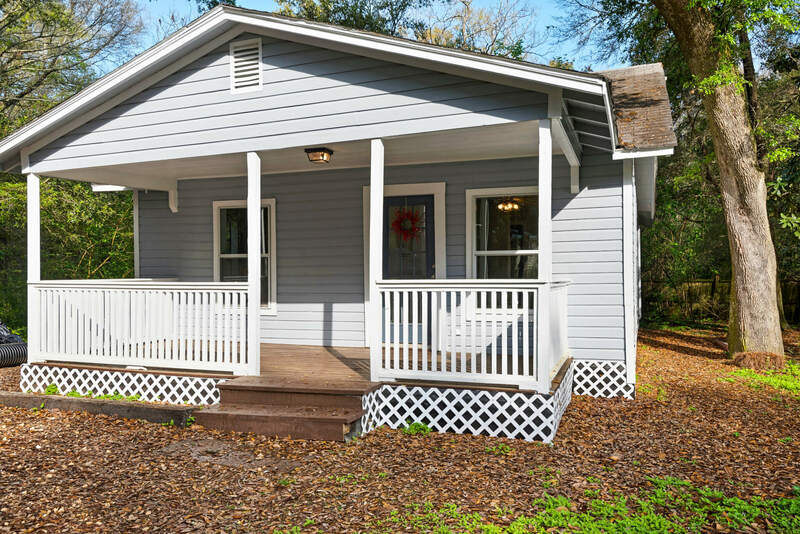 The exterior has been kept in the original drop siding and the new parking area and landscaping add to the charm. 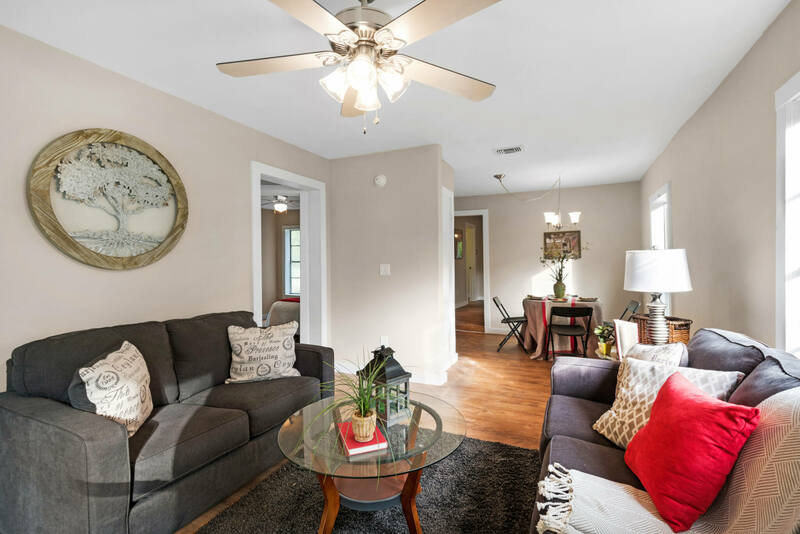 Located on a cul-de-sac with friendly neighbors and Fairhope schools!